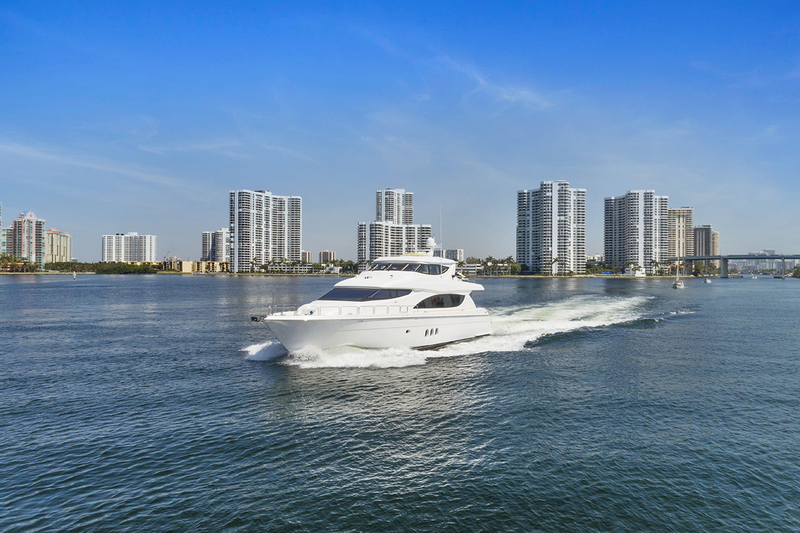 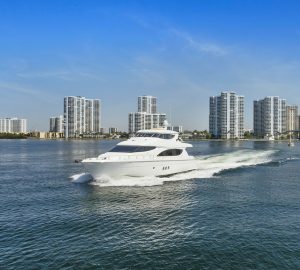 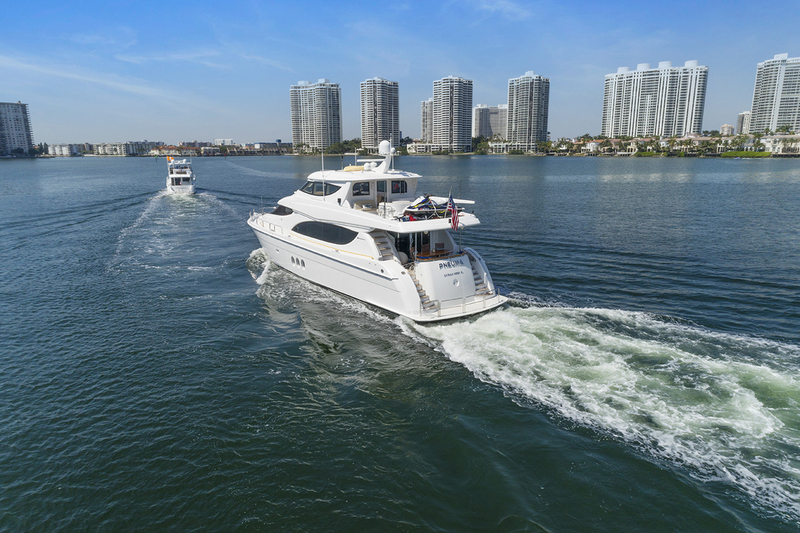 Motor yacht PNEUMA (ex Blue Moon, Bodacious) is a 24.38m (80') luxury vessel built by the renowned shipyard Hatteras and launched in 2007. 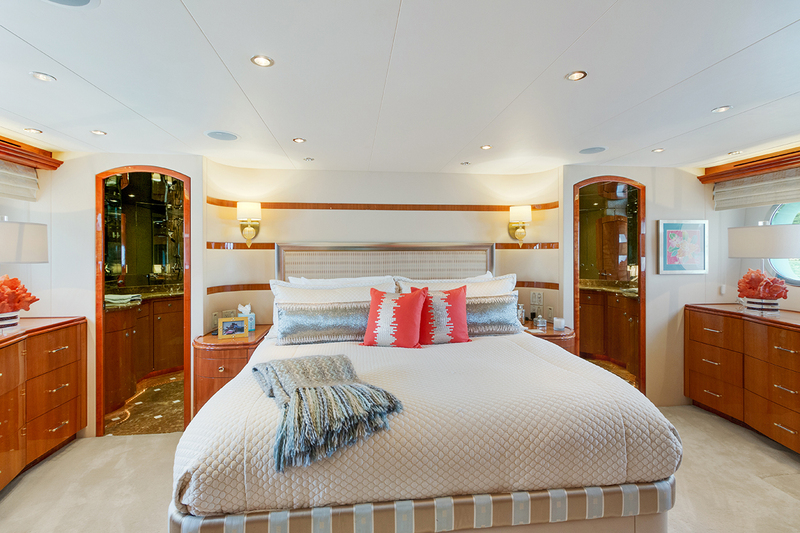 She is offering luxurious service by a crew of three and accommodation for up to eight charter guests in four cabins. 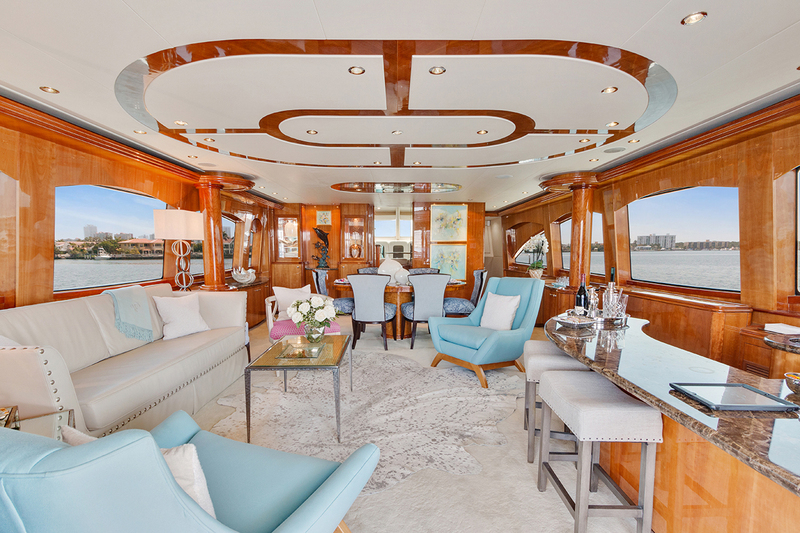 From the lower deck, guests have access to the main deck aft, where a sofa lines the stern and a raised table and additional chairs create an ideal environment for alfresco dining. 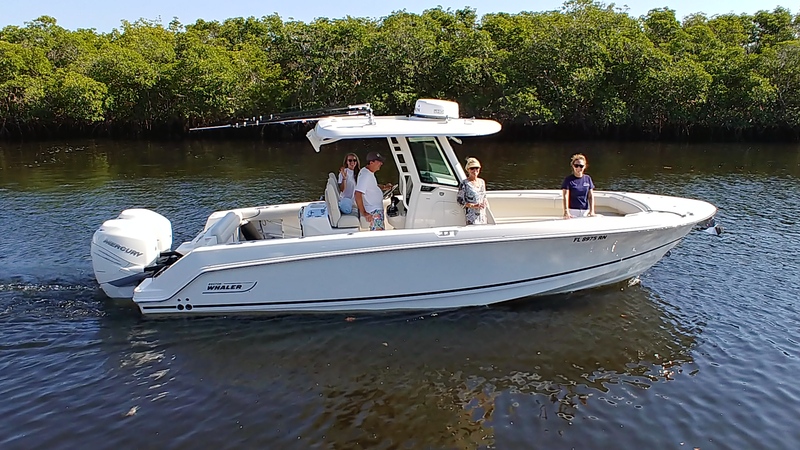 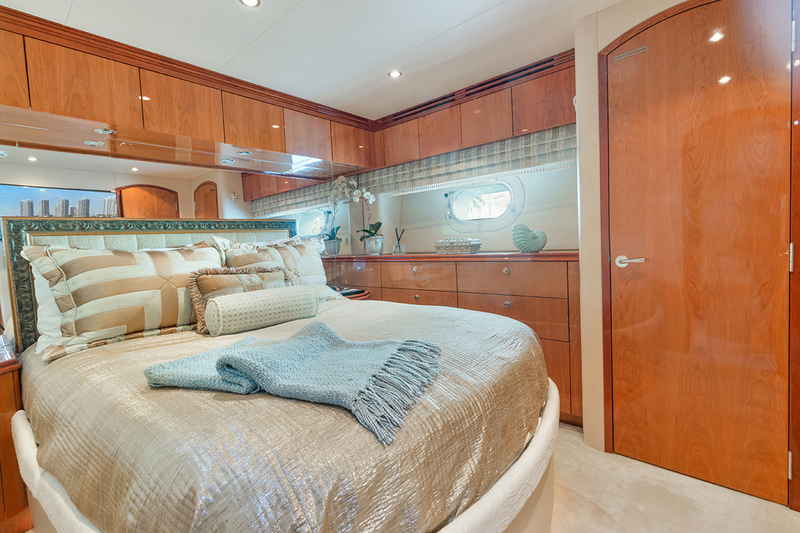 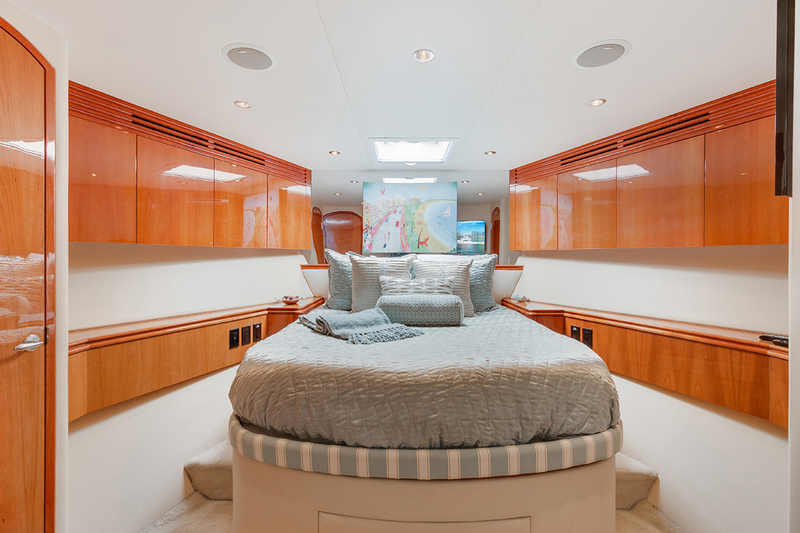 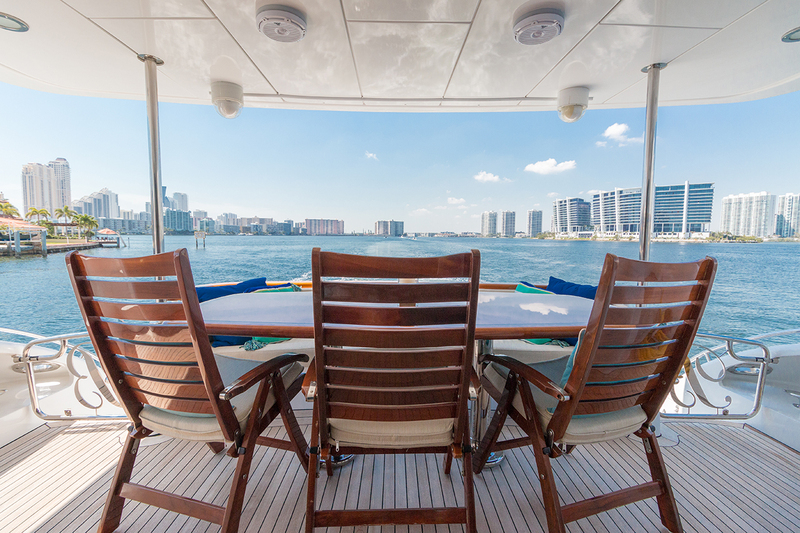 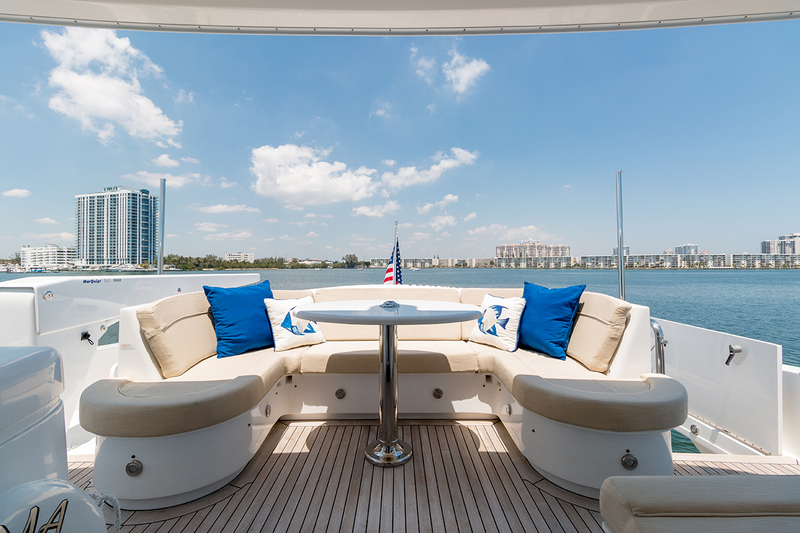 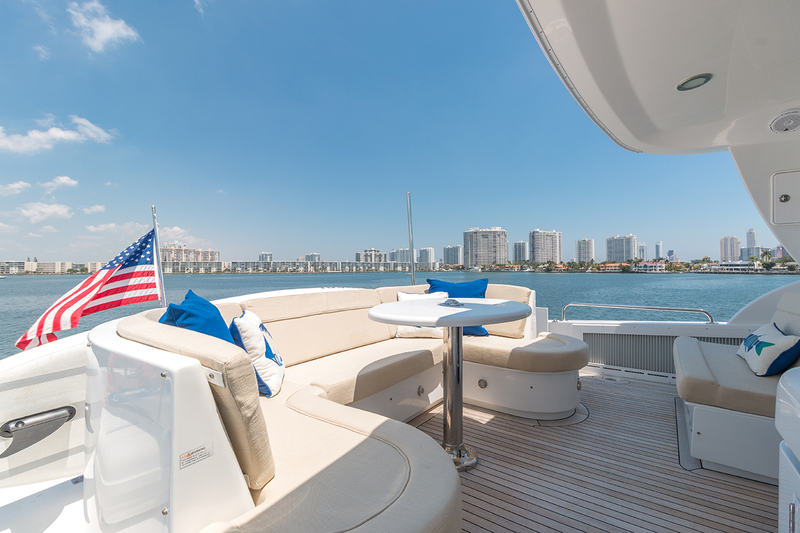 Up, on the flybridge, there is an additional C-shaped seating area around a drinks table and a loveseat beside the door leading into the helm station. 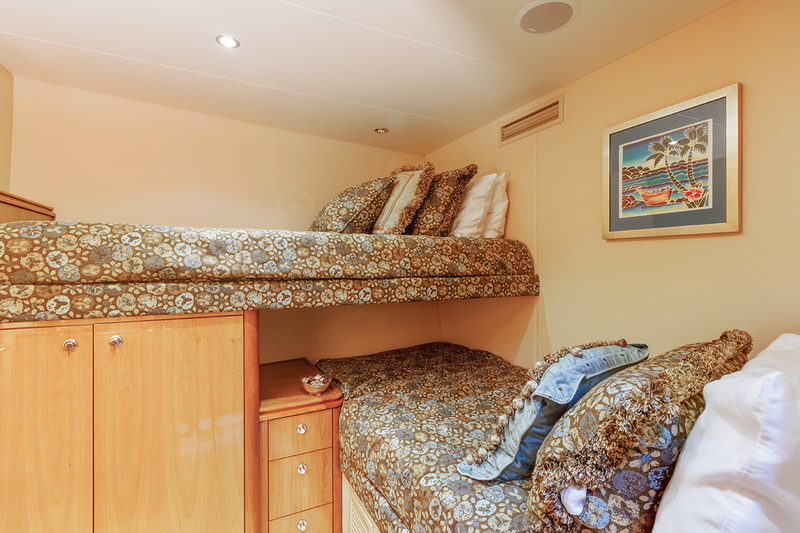 While the lower deck hosts the guest and crew accommodation, the main deck is dedicated to entertainment and relaxation. 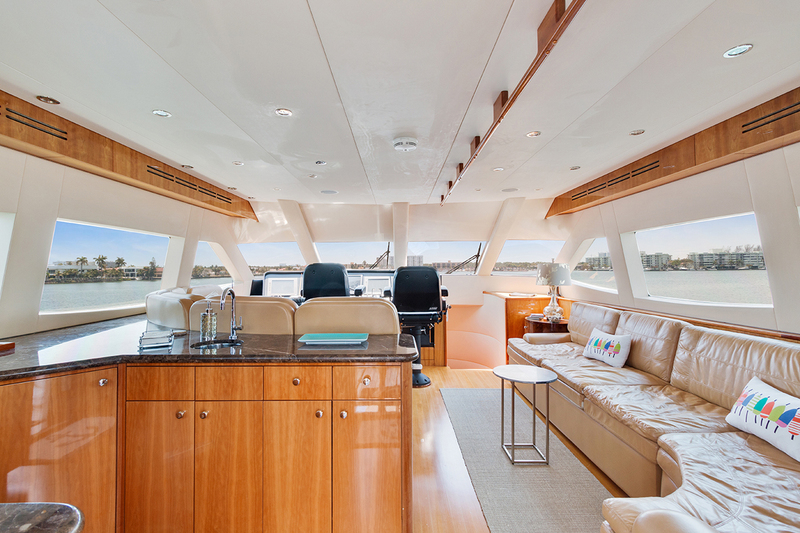 The naturally-lit forward section contains a row of seating beneath the windows with a raised table for casual dining efficiently serviced by the galley behind. 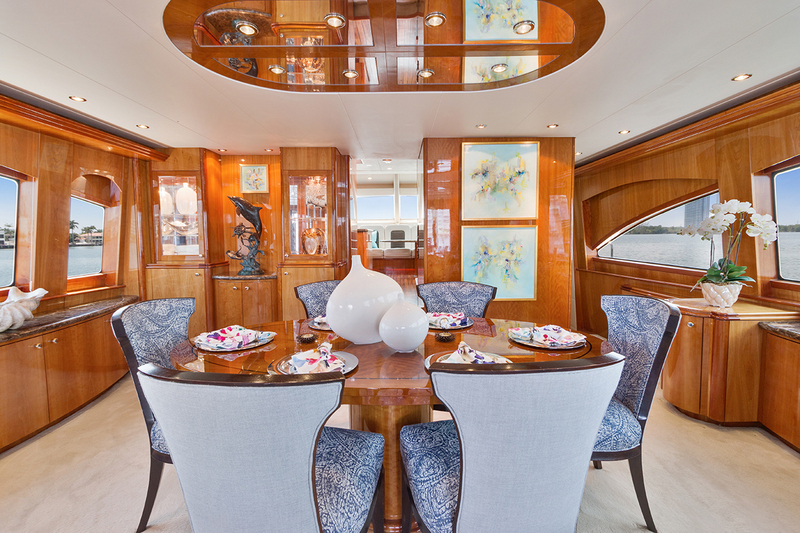 The aft lounge enjoys an abundance of natural light through the numerous windows, and the forward formal dining area is a comfortable spot for up to six guests to enjoy a meal at the oval table. 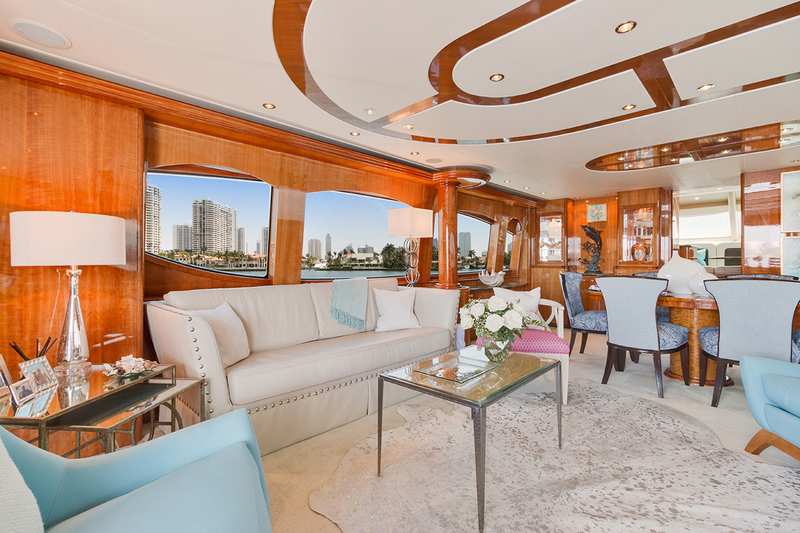 The lounge is comprised of a plush port-side sofa and three armchairs around a coffee table, while a stylish wet bar with a marble table top occupies the aft starboard corner beside the glass sliding doors. 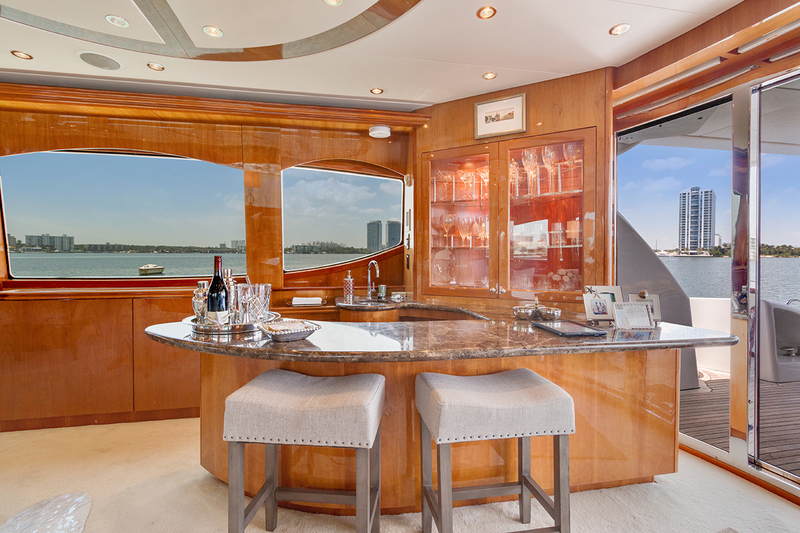 A corridor connects the forward dining area to the aft lounge, and a staircase leads up to the pilothouse where a curving sofa and drinks table to port is located behind the Captain's helm station. 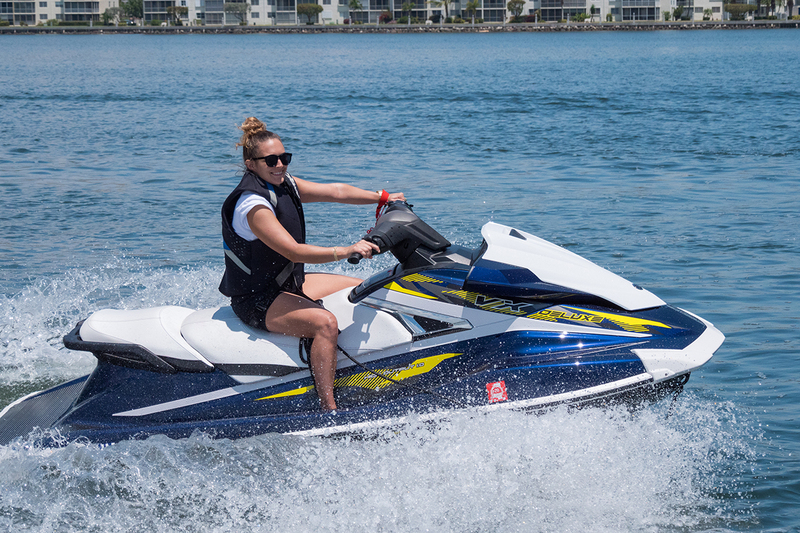 Twin C32 Caterpillar engines produce a maximum speed of 25 knots and a cruising speed of 21 knots. 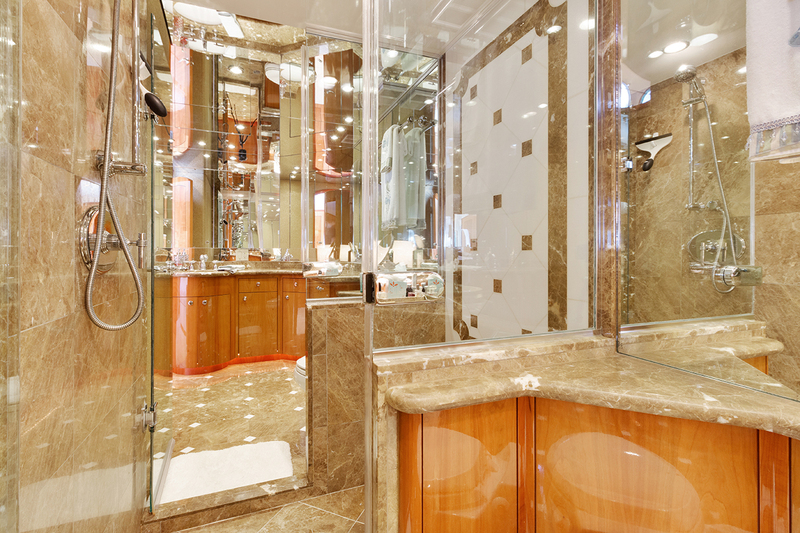 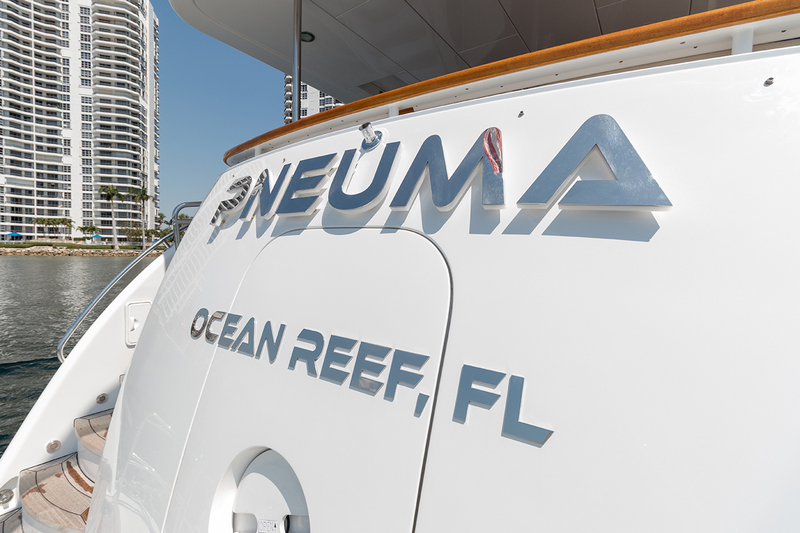 PNEUMA can accommodate a maximum of 8 guests in 4 cabins.